We appreciate your feedback about your support experience with SkyVerge, developers of WooCommerce FreshBooks. This helps us maintain high standards on the WooMarketplace, and helps SkyVerge improve. Generating new WooCommerce orders for your shop is an awesome feeling. However, the need to then invoice customers can take a lot of the fun out of new sales – not to mention all of the extra time that goes into creating invoices for those orders, which only increases as you bring in more revenue. 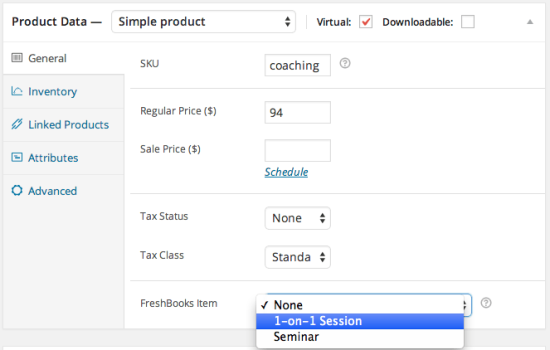 Stop being penalized for success: automatically create your invoices or use one-click sends to save your valuable time. The WooCommerce FreshBooks extension allows you to automatically email PDF invoices to the customer while also creating new customers as new clients in FreshBooks! If you only need to invoice some orders, you can do so with one click from the “Orders” page. This integration requires a FreshBooks Classic account. If you’re new to FreshBooks, please select this when you sign up or ask FreshBooks to switch your account. WooCommerce FreshBooks provides high performance and tons of flexibility in synchronizing your WooCommerce shop with FreshBooks. Want to only invoice some orders manually? Easy. 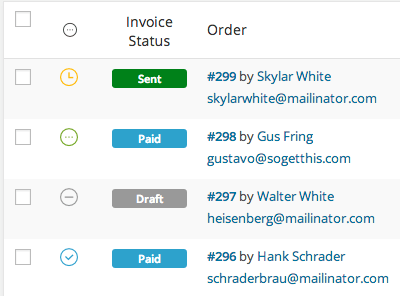 Need to create invoices for all orders? Do it automatically! Improve your FreshBooks reporting by tying FreshBooks items to your WooCommerce products and by syncing payments between WooCommerce and FreshBooks. 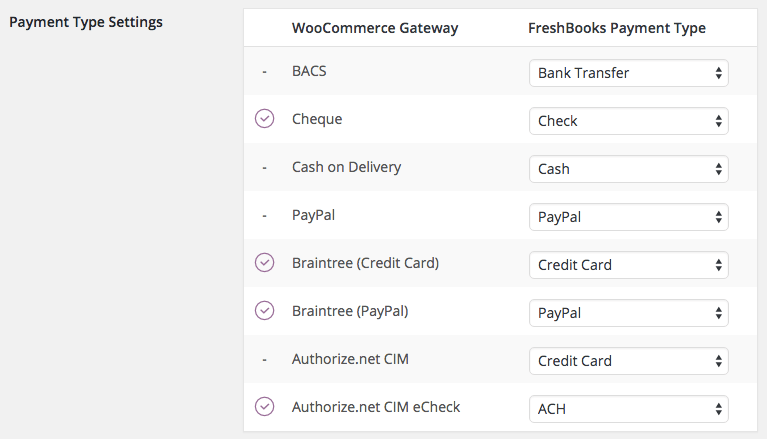 What does WooCommerce FreshBooks do? Supports WooCommerce Subscriptions to generate invoices for each renewal order. You can tie your WooCommerce Products to FreshBooks items so that each product sale generates an item sale in FreshBooks. This helps you keep track of FreshBooks item sales automatically for improved reporting. WooCommerce FreshBooks gives you complete control over your invoicing. You have the option to automatically create your customers in WooCommerce as clients in FreshBooks, or you can add all orders to one default client (i.e., a “WooCommerce shop” client). Once a client is created, all orders for that customer will be tied to their client account in FreshBooks. With version 3.6+, map how FreshBooks should record the invoice payment type based on which WooCommerce payment method is used for the order. Using this Freshbooks integration, you can either manually create invoices with one click from the “Orders” page, or automatically create invoices for every order in your WooCommerce shop. Invoices can be created as drafts, or can be immediately sent when the order is placed. Subscription and renewal orders can generate invoices the same way that regular orders do. If your invoices are automatically created for orders, they’ll automatically be created for each subscription renewal order as well. Optionally make FreshBooks invoice numbers the same as WooCommerce order numbers or add prefixes to invoice numbers. Even better, you have the option to keep payments automatically synced between WooCommerce orders and FreshBooks invoices. That’s it! Sit back and enjoy automated invoicing!